Preservatives are added to food to keep it from going bad. They can preserve color and flavor and keep foods fresh. Without preservatives, food can spoil quickly with exposure to air, moisture, or bacteria. Natural preservatives such as salt, sugar, vinegar, ascorbic acid (vitamin C), and citric acid exist. However, many foods contain synthetic, artificial preservatives. Although the jury is still out on most preservatives, and they certainly are not harmful in one serving of food, some research shows that consuming preservatives over time may cause health concerns. Some research indicates that these preservatives can cause cancer, impact your nervous system, change behavior, weaken the immune system, comprise reproductive health, and are generally toxic. Artificial preservatives also may cause allergic reactions and intestinal discomfort, along with many lesser side effects. When reading labels, follow the rule: If you can’t pronounce it, don’t eat it. Try to eat fresh fruits, vegetables, and meats whenever possible. Shop from whole food stores and farmers markets. Here are just a few of the preservatives that you should try to avoid. Benzoates and parabens: Sodium benzoate, methylparaben, propylparaben, and heptylparaben are found in diet sodas and occur naturally in prunes, cinnamon, and tea. They may cause lung issues, hives, welts, and other allergies. BHA/BHT/TBHQ: Butylated hydroxyanisole (BHA), butylated hydroxytoluene (BHT), and tertiary butylhydroquinone (TBHQ) are found in butter, baked goods, crackers, cereal, potato flakes, enriched rice, snack foods, and other processed foods. They may cause liver problems and reproductive issues as well as other health concerns. Sulfites: Potassium bisulfite, potassium metabisulfite, sodium sulfite, and sulfur dioxide are found in wine and dried foods. They also may be found in drinks, including fruit juice concentrate, and are often sprayed directly on foods. They may trigger asthma and cause lung irritations. Sodium nitrite: Found in cured meats such as hot dogs, bacon, ham, and smoked fish. Potassium nitrate and sodium nitrate also may cause health problems such as intestinal discomfort, skin irritations, and headaches. Other potentially harmful preservatives include tartrazine (an artificial food coloring), monosodium glutamate (MSG), and aspartame (an artificial sweetener). Try to provide healthy, preservative-free snacks for your family. Fresh fruit – Shop from your local farmers market to find fresh fruits and vegetables that are preservative- and pesticide-free. Kids and adults alike enjoy fresh fruit for a sweet snack. Natural almonds – For a crunchy snack, skip the chips and eat natural whole almonds instead. You can find them at health food stores and many supermarkets. 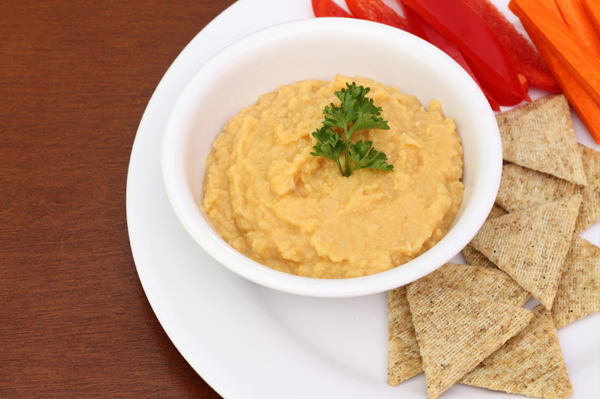 Hummus and crackers – You could make your own hummus, but it’s possible to find preservative-free hummus in your local grocery store. Remember to read labels to find hummus, crackers, soy chips, and other snacks that are preservative-free. Organic snack bars – Believe it or not, some companies have figured out how to make pre-packaged snacks without preservatives and additives while maintaining a long shelf life. Look for Bear Fruit Bars and other organic snack bars that are natural and healthy.